Makeup that is based on my all-time favorite movie, Mean Girls, is like, so fetch. Get in losers, we're testing out Mean Girls makeup. The limit (of how beautiful this palette is) does not exist. Hello everyone. If you didn't know, I am an avid Mean Girls fan. I can identify a Mean Girls quote from a mile away, and trust me, you don't want to watch the movie with me. I will quote the entire thing. Now that you know that crucial information, you can see why I was immediately drawn to the Storybook Cosmetics x Mean Girls collaboration. 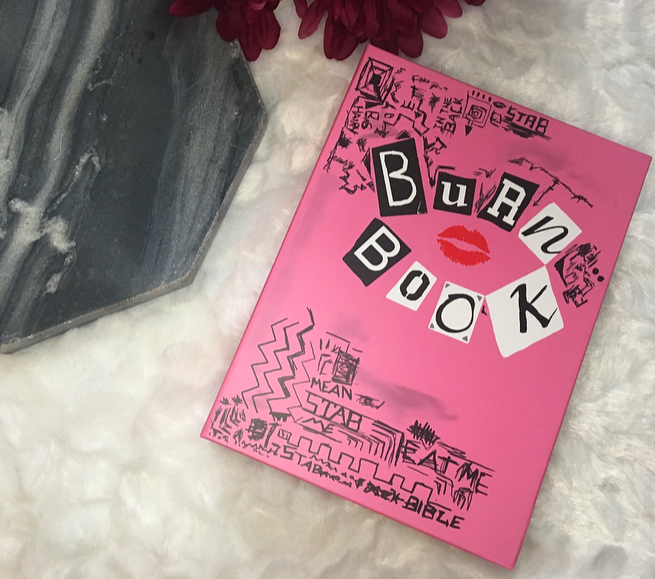 The Burn Book shaped, quote-filled palette is fit for the ultimate Mean Girls fan. But is it just a good collector's item, or are the shadows good-quality, too? I will admit that I'm not the biggest fan of the colors in this palette. The row of warm pink shades make sense, but the blues? That random green? I was determined to get this palette no matter what was inside, but I would have preferred some more cohesive shades that feel more Mean Girls-esque, like maybe some pastels or purples instead of the blues, green, and orange. There is only one look that I feel confident creating with this palette where I don't need to reach for any other shadows. If you are more creative or like wearing brighter colors than me, this may be a better option for you! As for the shadow quality, I think that they are fairly good but not the best that I've tried. I really like the shimmery shades. Regina George, a gorgeous light rose gold, is a stunning metallic color that has little fallout and is really reflective all over the lid. The mattes are pigmented, but very firmly pressed and dry. I don't think that they are difficult to blend but you may have to build them up after blending them out. I prefer to build up my shadows because I think it offers more control, but it is all up to personal preference! I've found that each shadow has a little bit of a different formula, especially the shimmers. Some are very creamy, like Regina George and Mouse, Duh, and others feel very dry and gritty, like October 3rd. The mattes have similar inconsistencies. They all feel dry when you swatch them, but they vary in pigmentation. So Fetch, a bright orange, is not very pigmented while Wednesday is easy to build up to full opacity. On the eyes I don't think that the dryness is a problem, but it is definitely a different formula that I haven't seen many other companies use so it could be a hard transition if you're used to creamier shadows. I always wore the shadows with my favorite Wet n Wild Photofocus eyeshadow primer and never had an issue with creasing, though they did start to fade throughout the day! I've been testing out this palette for around two weeks. I haven't worn every shade out and about, but when I get home at night I've been testing out some of the more wild colors on the eyes. 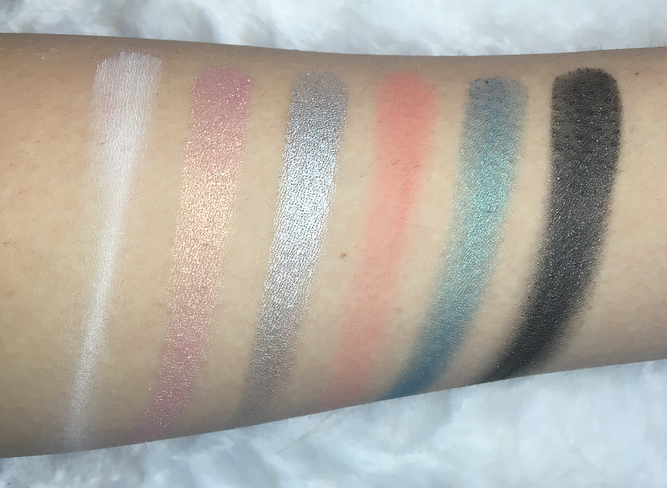 Part of me likes that Storybook Cosmetics isn't playing it safe with these colors, but I also would have liked more useful, cohesive shades, as I mentioned before. I don't mind having to dip into another palette to get a good look, but when I'm in a hurry (which is always) I can't see myself reaching for this beauty, even if it has some amazing shades. Rainbow lovers would definitely get a kick out of this palette, but for me, I think this is more of a collector's item. If it didn't have all the Mean Girls motifs on it I can definitely say that I would not have purchased it. However, if you're a Mean Girls fan and you like bold colors I think you might enjoy this palette even more than I do. For now, it will be displayed on my desk along with my "You're Like Really Pretty" Z palette! What do you think of this palette? Would you use all of these bright colors, or would you have done something differently? 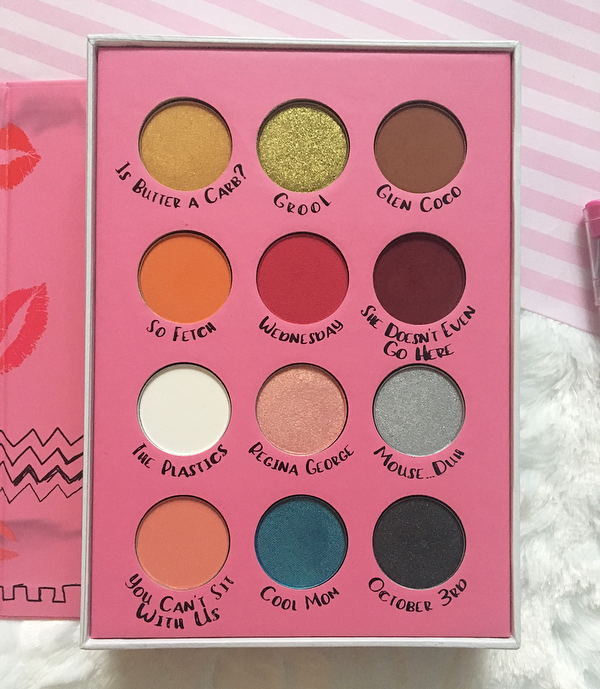 13 comments on "Storybook Cosmetics Mean Girls Palette Review"
I've seen this palette round. I'm glad you like it. I was never a huge Mean Girls fan. I would like to try Storybook Cosmetics at some point. Hmm....the pigmentation is pretty good but this palette just don't appeal to me. Definitely agree that it's a collector's item for those who adore makeup and amazing collections - the colours are so pretty! That blue is gorgeous, blue is a colour I use more and more for my eyes and I love it so much. It is a stunning palette!! Ha, I was wanting to get this because I am a huge Mean Girls fan but I had to pass because the colors looked impractical for me to wear. Love Grool, though! I love Mean Girls! Such a classic, haha. 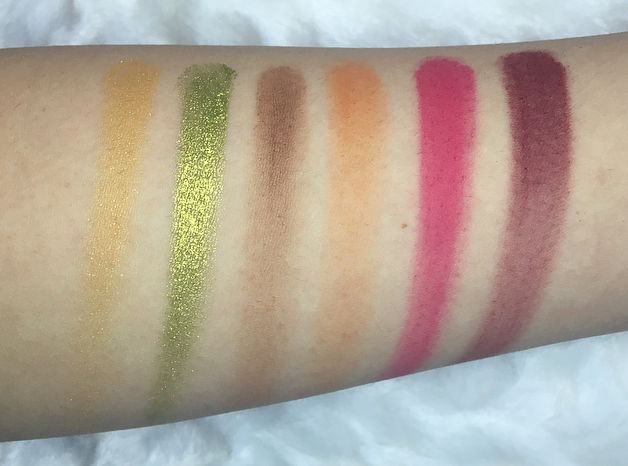 Love how pigmented the swatches are, especially Grool! I was instantly drawn to that shade. The shadow names are so funny!